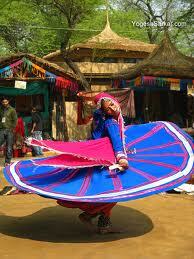 Surajkund Crafts Mela is Celebrated on Every Yaers's February Month in 15 Days. 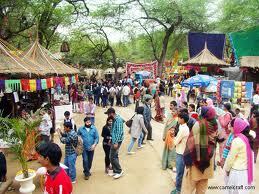 The Surajkund Crafts Mela is organized annually by the Haryana Gov. 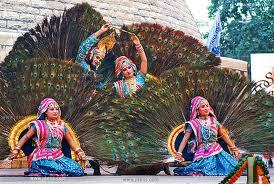 in the month of February. 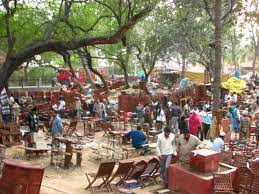 This delightful handloom and handicrafts fair is planned every year to promote the traditional Indian Handicrafts in rural ambience at Surajkund in the vicinity of New Delhi. 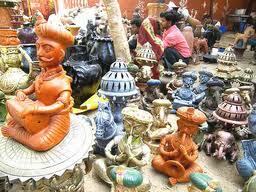 The fair was first time organized in 1981 and since then the fair continues to be a strong platform for Indian artists and craftsmen to display their skilled crafts and art work. 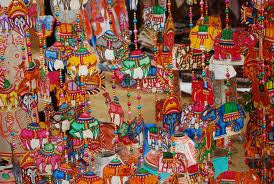 At this annual week long fair skilled artists from all over the country display the rich crafts tradition of India in the typical rural setting and bring alive the age-old living crafts tradition. 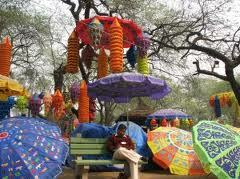 Surajkund crafts mela offers to its visitors the exquisite and skilful paintings, textiles, wood stock, ivory work, pottery, terracotta, stonework, lac work and cane and grass work. 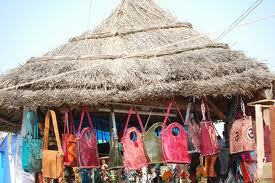 Visitors can shop here for some of the world's most treasured wares. 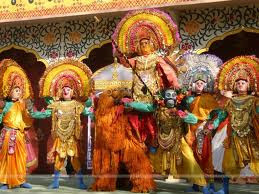 The fair is not only limited to exhibitions of artwork but also presents the visual delight to its visitors in the form of special Natyashala folk dances and musical evenings at the open-air theatre. 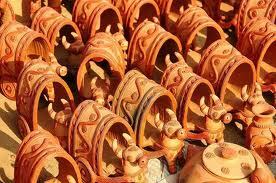 These programs are also accompanied by lip smacking and delicious rural cuisine, adding colors to this popular crafts fair. 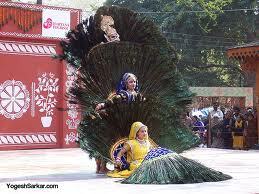 Every year, the Surajkund Crafts Mela is planned by selecting a particular Indian state as a theme and entire ambience for the fair is designed accordingly. 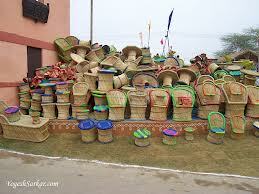 Many states have showcased its finest handlooms, handicrafts and mouth-watering cuisines in past fairs.